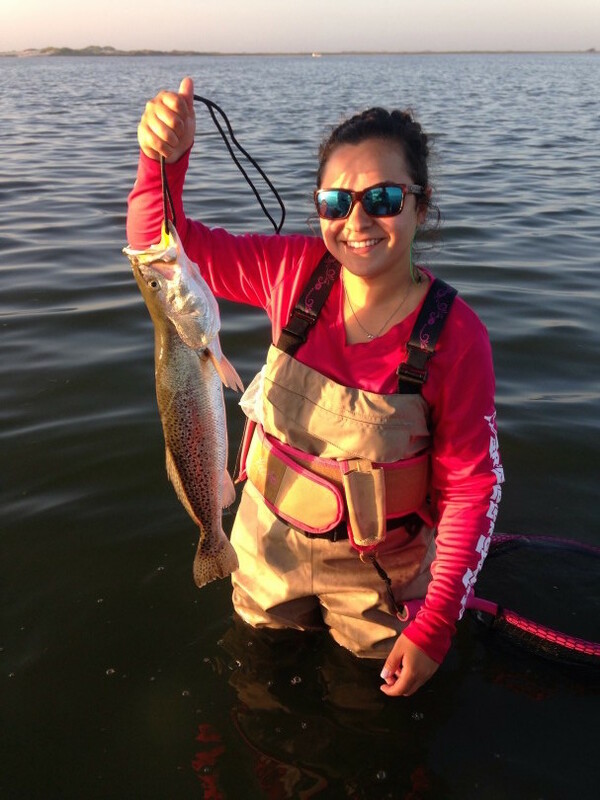 Brittany Herrera with her first keeper trout caught while wade fishing. It weighed in at 4lbs and was 24″ long. She was free lining Croaker using a chatter weight just east of bird island in the Upper Laguna Madre.